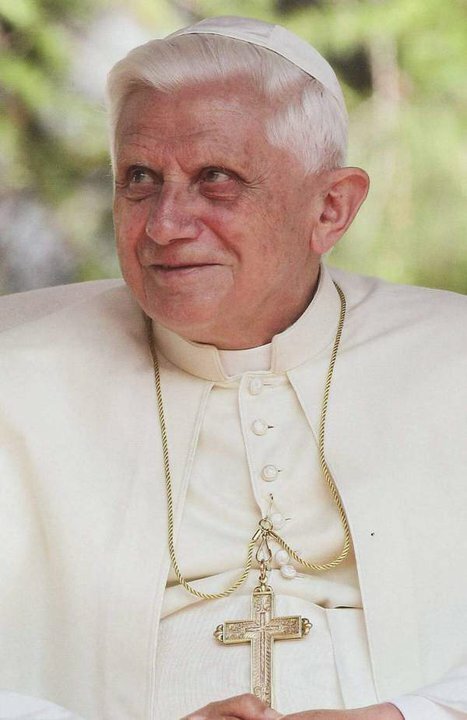 What did Pope Benedict say? On January 19, 2012, the day before President Obama’s religious freedom crushing HHS mandate was announced. Why didn’t you know about It? Most Catholics don’t read the Pope’s letters and the letters are not reported on widely in the media. Who is limiting religious freedom and denying Catholic individuals and institutions the right of conscientious objection with regard to cooperation in intrinsically evil practices? Do you trust Pope Benedict XVI when he says there are threats to religious freedom or do you trust President Obama when he says there are none? In that post published by Cecilia Munoz (Director of the Domestic Policy Council for President Obama and formerly of the National Council of La Raza) the White House claims the support of Pope Benedict XVI on President Obama’s deferred action on children of illegal immigrants (which was made on June 15, 2012) by quoting him on an address he gave about immigrants. This sort of deception is hard to understand and it will not be tolerated by Catholics or our friends of good will. It shows desperation. Catholic Democrats must challenge President Obama to deal honestly with Catholics as must all Americans. I will pray for him. He is a man with a soul. Let’s all pray for him. His friends must insist he deals honestly with us. Excommunication, the principal and severest censure, is a medicinal, spiritual penalty that deprives the guilty Christian of all participation in the common blessings of ecclesiastical society. President Obama has excommunicated Catholics from Catholicism and American society with his new rule on insurance plans paying for contraception, sterilization and some abortion drugs. We are found guilty of not following his truth. This announcement was made through a Department of Health and Human Services (HHS) press release on Friday January 20, 2012 and it violates the 1st amendment to the Constitution of the United States of America: “Congress shall make no law respecting an establishment of religion, or prohibiting the free exercise thereof;…” and violates Catholicism. The President, through HHS even offers absolution from this excommunication if Catholics comply by August 1, 2013. The President says he will force employers to tell employees where to get contraception and he falsely uses the term “common good” to describe via HHS the work faith-based organizations perform. It is time for all Catholic lay people to rise to the occasion. The Church is calling us to action. 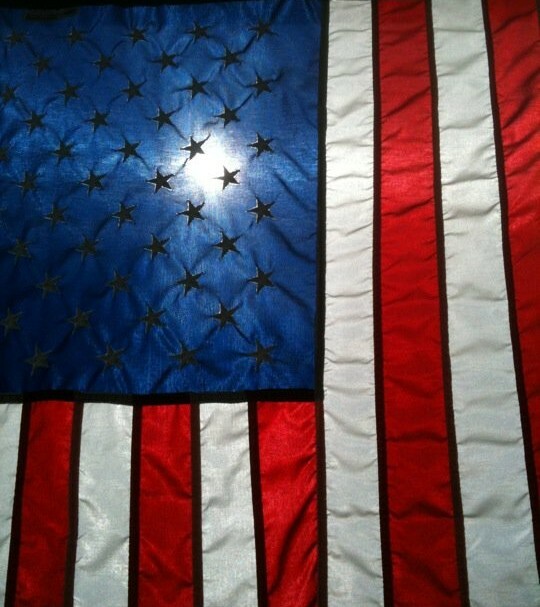 Presidential candidates must rally Catholics to defeat President Obama. The President’s actions are totalitarianism at close range and cannot be bargained with. It must be defeated. It will be defeated. President Obama has dared to attempt to slay the Catholic Giant. But, as President Obama declares Catholicism dead, the CATHOLIC GIANT sits up in his bed. 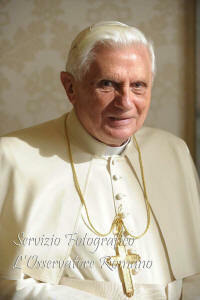 Now Occupy Wall Street shows denigrating photos of Pope Benedict XVI on its Facebook page! Now Occupy Wall Street has gotten into the act like Occupy DC by posting denigrating photos of Pope Benedict XVI on its Facebook page. The first photo depicts Pope Benedict as part of the 1%. Click HERE. The second photo shows a doctored image of the Pope and an imam kissing. Click HERE. Additionally, Occupy Faith NYC who has the support of some Catholics and Christians of other denominations shows support for Occupy Wall Street. Click HERE. Do these Catholics who support the Occupy movements know who they are supposedly standing in solidarity with? Some surely do. Some do not. How long will these photos stay up? How long will some Catholics still support Occupy?